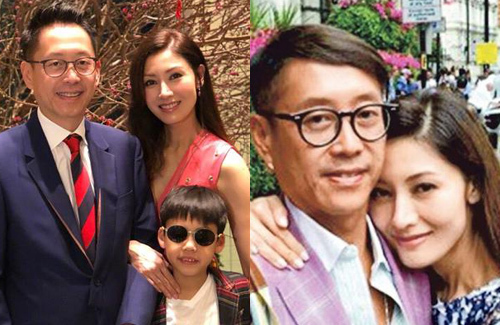 Married to wealthy businessman Julian Hui (許晉亨) for 10 years, Michelle Reis (李嘉欣) has an unconventional method in keeping her marriage fresh. Michelle believes that sleeping in separate bedrooms is the key. Michelle believes in retaining a level of mystery in a relationship, so there is always something exciting to discover. To keep the passion fresh, Michelle and Julian slept in separate bedrooms since the start of their marriage. Without each other’s permission, they can not enter the other’s bedroom. This little separation managed to make the couple only more eager for their moments together. Michelle and Julian also like to take small trips so they can discover new things together. The former 47-year-old beauty queen has also learned to excel in making Julian’s favorite dishes to satisfy his appetite as well. Michelle’s tactics have certainly worked, as the couple has maintained a loving marriage. When spotted at public events together, they are usually holding hands and embracing each other. Experiencing failed relationships before meeting each other made Michelle and Julian cherish each other more. Julian had dated Carina Lau (劉嘉玲) before marrying Pansy Ho (何超琼), daughter of Macau casino tycoon Stanley Ho (何鴻燊). Although Julian and Pansy announced intentions to divorce in 2000 after a nine-year marriage, their business ties made it difficult for a clean break. The couple did not immediately sign divorce papers. Pansy subsequently fell for EEG founder, Albert Yeung‘s (楊受成) son, Gilbert Yeung (楊其龍). Since Stanley Ho and Albert Yeung were rivals, Pansy and Gilbert’s relationship was violently opposed. Later, Gilbert was arrested for drug possession and the incident was reported as Stanley Ho’s “revenge plan”. Years later, Pansy admitted that her relationship with Julian was wrought with problems and that Gilbert was not responsible for wrecking her marriage. While legally married to Pansy, Julian started dating various Hong Kong actresses. One of them was Michelle, whose notorious affair with married man, Joseph Lau (劉鑾雄), left tongues wagging. While Michelle was involved with Joseph for several years, she faced vicious gossip that she was a homewrecker. The breakup left Michelle scared to enter another serious relationship, until her path crossed with Julian. When Michelle won Miss Hong Kong 1988, her beauty caught the attention of many admirers, including Julian, who had sent her flowers anonymously. But Julian was involved with other women and a messy marriage in subsequent years. After falling for Michelle in 2006, Julian finalized his divorce with Pansy. While dating, Michelle and Julian did not originally intend to get married. Perhaps due to their previous heartbreaks, the couple understood each other’s needs. Michelle knew exactly how much freedom Julian needed in a relationship, while she liked an aggressive man with money and power who can give her a sense of security. This article is written by Jayne for JayneStars.com. There’s a certain way a woman looks when they’re very vain & aggressive. Michelle fits the mold. I’m not talking about how she dresses; it’s literally her face. This is not from her background stories or anything. From my experience, she has the ‘alpha’ type of face – very strong-willed and cares about reaching her goals. I don’t know if anyone else notices it, but it’s something I’m starting to notice more as I’ve gotten older. Of course, this is my gut instinct and doesn’t mean she’s really like that. And I do think separate bedrooms is probably best for both parties; they don’t get sick of each other as easily. Distance makes the heart grow fonder, after all. Plus with her personality, she’s probably very demanding about her standards in the bedroom, etc. @coralie Does her face look like a women that only goes for men with money and power? It’s a good idea to sleep in separate rooms. It ensures ones idiosyncrasies private. Plus a busy man like her husband can spend his quality time fixating on his work. Works great if you can have the resources to do it. Need deep pockets to do this esp in HK. I am not sure if that’s the face of a homewrecker but she is one of the prettiest MSHK’s. Too bad, she does have the name of a homewrecker on her forehead to all HK people. haha lol…. Some women I guess they just love $$$$$? I mean, look at some Hollywood stars, even if they have so much money themselves they still had to marry crappyzzz as hell husbands as long as they are rich so they can trophy wives. This woman probably will never look at any man who has less money than her. No shame!! She won’t be the first or the last. Look at that Mandy something? Isabella Leong? It’s true love REALLY??? $$$ is the love to these women. Why does the HK media continuously treat this homewrecker like some high class socialite? She’s constantly being interviewed like we should care what she thinks. She’s mostly been dependent on men her whole life, married men for the most part. She’s a horrible role model for women. I wish they would stop treating her like royalty just because she married some rich guy who is stupid enough to marry her.